Our Far Cry 5 Side Missions Guide is for carrying out the all the Optional Missions in Far Cry 5. Our Far Cry 5 Guide has relevant details including locations and rewards for each quest that falls in the game. 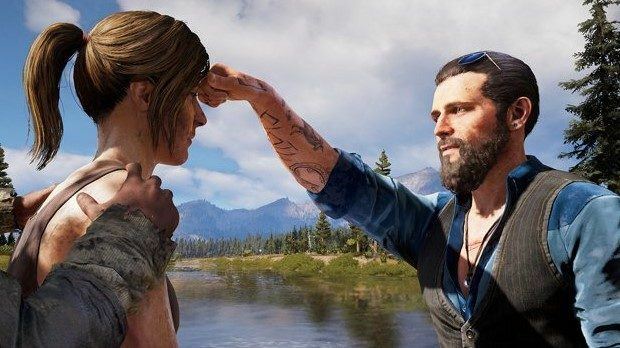 Side quests in Far Cry 5 though may not tie in with the main story of the game; they still have a lot to add to the different characters and setting in the world. If you are interested in learning about Guns for Hire and Fangs for Hire in Far Cry 5, be sure to check out our detailed guides by heading over to the links. Moreover, you also learn a lot of new skills and acquire goodies you normally wouldn’t get your hands on if you didn’t stray from the main path of Far Cry 5. Below, you will find some brief information on these Far Cry 5 Side Missions along with their locations which seem to be situated in the game. In this section of the guide, we have detailed everything you need to know about completing all available optional missions in John’s region of the game. You are required to locate the shrine of Clutch Nixon. It is situated on the dirt road northwest of Copperhead Rail Yard. After accepting the mission, simply fly through the checkpoints as marked and shoot out any obstacles that block your path. This will take you from Widow’s Creek to Clagette Bay. Then you will fly your plane south of Henbane River under the Bridge of Tears until reaching the rock arch along the railroad. Passing through the checkpoints give you an additional 5 seconds on the clock. Make sure to slow down plane on tight bends or turns especially the one around the river. You have to pass through these smoke circles to receive a 5-second boost and complete the mission successfully. As a reward, you receive a plane titled ‘Fly That Flag’ and $2,000 in cash. After having successfully liberated the Gardenview Packing Facility Outpost in John’s Region, head to the area left of Pumpkin Farm. The location is just left off of the main road. In this area, you’d have to find and kill 3 Black Bears who’re affected by a drug ‘Bliss’ which makes them a real threat. The third bear, you’ll find in a cave. You are rewarded $770 for the whole business. Next up in Far Cry 5 Side Missions Guide, we have the Exodus side mission. You will find the mission in the Lamb of God Church after completing the ‘Grace under Fire’ mission. Take the path at the back of the church to move over a cliff. From here, you can snipe out the enemies. This mission has to be completed stealthily since if the enemies are alerted about your activity, they will eliminate the hostage consequently failing the mission. After clearing out all the Peggies using silent takedowns, free the hostages. Drop them off at the camp nearby to complete the mission. You will be rewarded $770 for it. Head south and a little west of Pumpkin Farm, or just directly south of the ‘Bear Necessities’ location. On your map, this is situated at a dirt path deviating from the main road. This area is known as the Howard Cabin. Speak with Special Agent Huntley to start this Side Mission. You can use the nearby tunnels to your advantage to move undetected. After clearing out some enemies with the help of Huntley, you will be required to use to follow a helicopter. Use either a Wingsuit or a nearby ATV to do so. At a point, after the chopper has landed, Huntley will instruct you to get rid of the cultists. At the final stage of the mission, after dealing with the foes, look for the tape in the bunker under the shed. It has a red star on it. You are rewarded with a skin for your SMG. You unlock this Side Mission once you reach Resistance Level 1 in John’s Region. You need to destroy several convoys of armed trucks. Keep a bunch of explosives close to you (okay, not too close!) for the best possible results. For the easiest play-through, we recommend using a helicopter to get rid of both the convoys and the Peggies operating them. You will be rewarded a decent $1500 for completing the task. You unlock this Side Mission after you liberate the Green-Busch Fertilizer Co in John’s Region. This side-quest tasks you with hunting down a particular moose which is affected by ‘Bliss’ as a result of a failed experiment by the Peggies. Eliminate the false projections of the moose first. This will lead you to the right one with glowing red eyes. Eliminate it with a high caliber weapon like sniper or rocket launcher. After killing it, your reward is $850. Liberate US Auto in John’s Region to unlock this mission. Search the nearby area for soldiers in shipping containers. Without a key, you can smash open the locks on the containers. Beware, one of these crates hold a nice surprise for you, be careful with it. Your reward will be $800. After clearing the enemies in Reservoir Construction Yard, you need to head to the same shrine of Clutch Nixon as mentioned above. You’ll be receiving Rocket’s Glare as a vehicle along with $2,000. To acquire this mission, head to Parker Laboratories and talk to Larry Parker. You’ll find him trapped in some kind of energy field in a large structure (can’t explain it well enough). Anyways, the structure is powered by three nearby generators. You can head to the location of each generator by following the blue wires on the ground. Turn off these generators to free Larry. You will be rewarded with an easy $300. Another mission which you can acquire from Larry provided you completed his previous mission mentioned above AND unlocked the grapple ability. You will be required to climb up 5 of the PurpleTop Telecom Tower. These will be holding satellite dishes which need to be destroyed. Two of these are destroyed in this manner, with the other 3 being put down with help from Larry. After he heads back to his place via a chopper, kill the cultists so you both can land safely. Your reward will be $700. Talk with Larry after you complete The Hero’s Journey to acquire ‘Close Encounters’. Head to the fields to find the objects. You can find two of these in the fields, one atop a nearby silo. The other one is in a dog’s mouth that roams the area. Once you have all 4 samples you complete this Side Mission. After completing the above mission, Larry will ask you to go to a nearby power station and flip some switches. The fifth and last one has to be reached using the zip-line. Successfully completing this task will help you unlock the Magnopulser gun which comes quite handy in combat. Trophy ‘Science Fact’ is also unlocked in the process. Head to the Redler Residence and speak with the old man inside the house. He will ask you to collect 12 lighters. Once you have the mission head to a General Shop and you can purchase a Map that highlights all of the lighter locations on your main map. If you’re still struggling to find these lighters, head over to our detailed Vietnam Lighters Guide by heading over to the link. Heading to Dodd Residence and speaking to Nadine Abercrombie, you will be tasked to collect 12 comic books. The locations for these can be marked on your map by purchasing a map from the General Store. You can find a detailed guide for finding these 12 Comic Books by heading over to the link. You’re rewarded with $900. You can unlock this Side Mission once you liberate Kellett Cattle Co in John’s Region. Your main objective is to bring the cattle back to the farm. Head to the nearby field. Punching them or throwing stones at them will divert their attention towards you so leading-the-cattle-back-to-the-farm business becomes easier. Three cows will do the job. Your reward will be $750. This side mission is acquired from Sunrise Farm after you liberate it. Simply grab the spare parts and interact with the irrigation system to fix it. The parts are marked as waypoints on your map. First one, you’ll find on the roof of a burned house. The second part is lying on the back of a truck nearby. The last one lies on a windmill far away, hit it with a sniper so the part drops down to a location closer to you. Collect them and use them to correct the irrigation system. Your reward is $850. Mission acquired by talking to Kim at Rye and Sons Aviation after liberating it. 14 silos need to be destroyed which are easily recognizable because of a red Eden’s gate cross on them. They are marked on your map as well. Fire from choppers to bring them down. Your reward will be $900. Situated in Falls’ End (Spread Eagle), Casey Fixman will hand you this quest after you have liberated Fall’s End. You are required to return the Testy Festy trailer to Fixman all the way from Kenny Hyde. Approaching him, you’ll notice a swarm of vultures in the sky; shoot them down so they drop down a key. Use this key to unlock the barn and drive the Test Festy wagon back to Fixman in Spread Eagle. $700 is good enough, no? Head back to Fixman after completing the above-mentioned quest. Heading to Davenport Farm, you’ll notice that a brawl erupts between some bulls and cows. After one of the bulls is trying to tear away at the cow, kill it and harvest its, well, testicles. Don’t blame us, blame Fixman, he wants it for his dish for the Testy Festy festival. The second thing which needs collecting is still what we mentioned above but in a different form: shredded testicles. Use a parked tractor mulcher to run over some bulls and harvest the desired product. Yikes, this is getting disgusting. Finally, you will need to torch a bull with a flamethrower or some Molotov cocktails. Grab their thing. Deliver all of these gross-eries (yes, they’re gross) to Fixman and he’ll set up the festival where you can take part in a lot of fun activities. The mission will hand you a staggering $1,425 and a Testy Festy shirt. After having liberated Holland Valley, you will be asked by Kim at her house over at Rye & Sons Aviation to take her to a hospital as she pushes closer to a birth of a newborn. While driving, you will come across many obstacles like hay farms, animals, etc. which you need to avoid since this is a timed driving session. Rewards include $700, Rye and Daughter upper body clothing unlock. Trophy ‘Special Delivery’ is also unlocked. This section of our Far Cry 5 Side Missions Guide details all the optional missions found in Jacob’s region This particular guide is for side-quests in Jacob’s region of Whitetail Mountains. Our Far Cry 5 Guide has relevant details including locations and rewards for each quest that falls in this particular character’s region. Below you’ll find a bunch of side quests which add to the overall character, drama, and mood of the game. Additionally, they will reward you with a lot of money and unlockables which you won’t get normally anywhere else! So head down below to our side quests guide falling in Jacob’s region in the Whitetail Mountains. This particular mission requires some effort since you will be required to find 10 Cheeseburger Bobbleheads in Whitetail Mountains region. As a reward, you’ll receive a Cheeseburger T-shirt and 200 Resistance Points. Moreover, you also receive $900 in cash. You can acquire this mission from Dave in Fowler’s Retreat south of Widow’s Creek. Help him to find the 10 Bobbleheads he lost. Since the locations can be a little tough to find, we’ve detailed all of them in a Separate Guide of its own. After collecting all the Bobbleheads, return to Dave and hand him these. He will reward you with cash and a T-shirt as mentioned above. Firstly, head to the Master Bait shop in Widow’s Creek. Scare Dylan to make him come out of his RV. This is carried out by destroying property around the RV. Use explosives and firearms to do so. He will throw some fishing poles out of his RV which you and Skylar can make use of. She will guide you to a lake where your objective is to catch three trouts. If you’re new to the fishing mechanic in the game, you can check out our Far Cry 5 Fishing Guide by heading over to the page. After catching the required species of fish, you will receive $700. Talking to Skylar after completing the above-mentioned mission will trigger the start of this one. This time you’d have to reel two types of fish: a bass and a sturgeon. Until now, we’ve only noticed bass popping up in Faith’s region in the lake west of Hope County Jail. Meanwhile, sturgeon is situated only in Jacob’s region with a good location being south of Fall’s End. The locations for these are marked on the map once you are close to the location or read up from a magazine or hear an NPC talking about them. You will be rewarded with $700 for the mission. Skylar will give you one final task, to catch the legendary Admiral Fish. We recommend to carry out in a co-op session with a friend because it becomes much easier. Head to the Clagett Bay. Fish for Admiral. While reeling the fish, your buddy can help steer the boat in that direction to prevent the fishing line from breaking apart. You will be rewarded $1,450 along with the ‘Wonderboy Fishing Rod’ which will allow you to find rare fishes easier. Acquire Side Mission after liberating PIN-K0 Radar Station. The mission will reach completion when you head to the marked objectives and destroy the mini-radar dishes. You are required to head to Bo Adam’s Cave in Jacob’s Region. He will task you with bringing bones and feathers to him. Note that you would need the grappling hook and the parachute. Head to nearby Snowshoe Lake and kill the Tigerfish there for its bones. Afterward, climb the nearby cliffs using the grappling skill. You need to jump across some large gaps which is only achievable by a Wingsuit or a Parachute. Once you come across a nest at the top, loot Eagle Feathers from it. Return these items back to Bo Adam to unlock the perk ‘Ultimate Survivor Recipe’ and $800. After having completed the main quest ‘A Right to Bear Arms’, you will be informed via radio to take out the helicopters which roam Jacob’s region in a group of three. It is highly advisable to purchase a chopper from Wolf’s Den Bunker helicopter shop. Our pick is Kaumbat R-31. Find the targets in air using while riding the helicopter and shoot them down from the sky. Use either the rockets by pressing R1 or the machine gun by R2. $1,500 will be there to be used. Find the same shrine which is situated close to Linero Building Supplies. You can find it by heading to the northeast of Wishbone Lake. Make sure though that you’re equipped with a wingsuit for this job. You’re rewarded $750 and 200 RP. Locate the shrine which is situated on a mountain near the same cliff as that of PIN-K0 radar station. As a reward, you unlock jet skis which can now be purchased at shops. You also receive $750 and 200 resistance points. You need to find the shrine dedicated to Clutch Nixon which is situated atop a mountain. You need to head southwest of Fort Drubman and north of Baron Lumber Mill to find it. As a reward, ATVs are now unlocked to be purchased at shops. $750 also goes in your pocket. After liberating Whitetail Park Ranger Station outpost, simply find the militia captain to acquire mission. Follow instructions for completion. $800 are rewarded along with 100 RP. After completing the main storyline mission ‘Radio Silence’ along with meeting the requirement of destroying a wolf beacon, you can acquire this side mission. Tammy will ask you to destroy all wolf beacons riddled across Whitetail Mountains. Your reward is $1,600 and 200 RP. After liberating the Baron Lumber Mill in the main story mission ‘A Dish Served Cold’, head back to the mill to find a female soldier who will give you a short quest. Head to the roof and grab the ammo and explosives. Quickly head back to the street and place proximity mines and C4s. Once you observe two trucks approaching, detonate the explosives. Take out any other enemies who’ve exited from the vehicles by one of your firearms. Over at Oberlin Picnic Area, you will be able to meet George Wilson in an abandoned baseball field. He will task you with collecting baseball cards whose location can be purchased from the General store. You can find a detailed guide to these Baseball Cards Locations by heading over to the link. 900$ and a ‘Hope County’ t-shirt will be your rewards. In Wolf’s Den, Wheaty will ask you to collect some Vinyl crates for which you’ll be rewarded with $900. 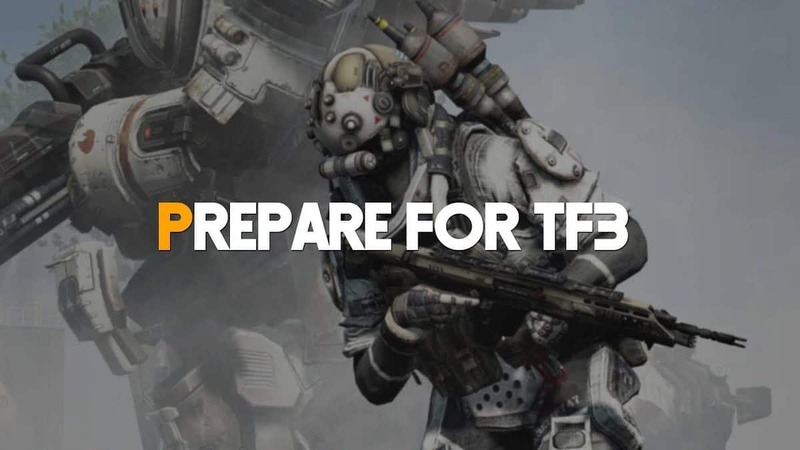 The requirement for this mission is having completed ‘Gearing Up’ before. For a detailed guide on the location of these Vinyl Crates by heading over to the link. After finishing ‘A Dish served cold’, head to Grill Streak which is located west of Baron Lumber mill. Talk to Chad Wolanski. You are required to perform a roadkill from your vehicle by choosing one of the locations marked on your map. The roadkill, in this case, will be a deer which you need to skin afterward to collect the meet. 750$ for you. Immediately after ‘Flavor County’, you will be given this task. You need to roadkill a Bison this time. Locations will be marked on the map with some falling under Faith’s region. The bison are found in hilly regions so the Auto Repair perk will come in handy since you will be needing repair of your vehicle every once in a while. A good spot to find Bison is west of Sacred Skies Lake. They will require multiple hits before they go down. After acquiring three pieces of bison meat, head back to Chad and collect your reward of $1,550 and a truck. This section of our Far Cry 5 Side Missions Guide is for carrying out the optional side missions in the Faith’s Region of the game. Our Far Cry 5 Guide has relevant details including locations and rewards for each side mission that falls Faith’s region. The following side-quests come with varying difficulty and rewards but each one adds to the overall Far Cry 5 experience in a good way. At the end of the day, who wouldn’t want some extra cash in their pockets, am I right? Scroll down for details on side-quests that fall in Faith’s region, Henbane River. You need to head to Aubrey’s Diner in this region. Speak with Tweak who will ask you to bring him some mysterious items: Jimson Weed and Bliss Powder. You can find Jimson Weed near the diner or just roaming around, it’s a purple plant. Bliss Powder can be obtained by putting down ‘Angel’ enemies, those affected by the drug. Search the fields full of white flowers, there’s one to the South East of the diner. After you have the items meet up with Teak in the playground located Southwest of Faith’s region. He will make you run an easy obstacle course along with instructions for which weapon to be used for which target. Once you’ve completed it, you’ll run the same course by now with the help of a drug named ‘Fast’. Finishing this will grant you the FAST drug to increase your movement speed. Additionally, you $800 and fewer resources are required to craft Fast stimulant. Reach the town of Prospect located in the southern wilds of Faith’s region. Locate the shrine of Clutch Nixor to start the mission. After completing it, you go home with an amazing ‘Liberty’ vehicle and $800 in your pocket. Immediately after completing the above Far Cry 5 Side Mission, talking to Tweak will trigger that start of this one. You will be required to test another one of his drugs named ‘Furious’. You will only be using your fists to punch the ‘Angels’ into fire pits riddled throughout the course. Your reward will be the drug itself and $1,440. After liberating Lorna’s Truck Stop, talk to the guy in this stop and the side mission will be started. Head to the location marked on your map and kill the cultists to steal the truck. Bring this truck back to the resistance fighter from which you acquired the quest. He will use the fuel from the truck to refuel his station. Moreover, you will go home with a decent $775. This side mission will be unlocked after you destroy the water treatment plant in ‘Clean Water’ story mission. As the mission goes, Faith has grown quite mad at you and has gunboats moving in rivers all around in Faith’s region. These locations are marked on the map and you simply have to take them out to complete the side mission. The easiest way of going about it is using a chopper and raining bullets. You get $1,500 for completing the mission. After liberating the Adelaide Drubman’s Marina Outpost, you will be able to acquire this particular side mission. Your reward will be $800. You require a wingsuit to carry out the task. Located the shrine of Clutch Nixon on the road bridge on Whitetail Mountains north of Drubman Marina. You are rewarded $800 for the business as well as a unique ‘Overdrive’ outfit. After liberating King’s Hot Springs Hotel outpost, speak to one of the resistance fighters inside one of the buildings in the outpost to start the mission. After completing the mission, collect your reward of $800. After having liberated the Sacred Skies Youth Camp, you can acquire this quest from a woman with a star above her. Found in Dead Man’s area, as marked on your map, you will be required to kill a cougar affected by ‘Bliss’ here. You will tackle the ‘Judge Cougar’ in a fog of bliss which will make you see all sort of crazy stuff including bison, turkeys, and wolves. Shoot them to get rid of these hallucinations. A powerful weapon will be required to put down the cougar, so bring some mighty fine explosives with you! You’re rewarded with $850 for killing the cougar. Once you’re done liberating Eden’s Convent, a woman will ask you to defend the area and each of its entrances from some enemy group. The mounted machine gun will be your way to victory! Operate them at their best to take down enemies and choppers to complete this side mission. Your reward will be $850. After liberating the outpost, ‘Nolan’s Fly Shop’, acquire the mission by speaking to one of the resistance fighters. You will be rewarded $800 for the completion of the task. Locate Clutch Nixon’s shrine below Gethsemane Greenhouse to start the mission. It is situated east of Faith’s Gate. You get Overdrive Gloves and $800. Head southeast of Moonflower Trailer Park to reach Grimalkin Radon Mine. Speak to the director there to start the mission. For completion, you will receive Omega piece of clothing and $800. After completing the above side mission, go to the same guy to get offered the role of a lead actor in a flick. You’ll need to battle ‘Angel’ enemies in the mission. Your reward will be $1,500. This is all we have in our Far Cry 5 Side Missions Guide. If there is anything else that you would like to add, let us know in the comments section below! Fortnite Is Dominating Streaming Platforms Twitch And YouTube!